Have you been looking for the ultimate vessel, a Welded Aluminum KingFisher Boat? There are many other boats out there but this has the most appropriate fit an finish of a vessel of this caliber, on the water. 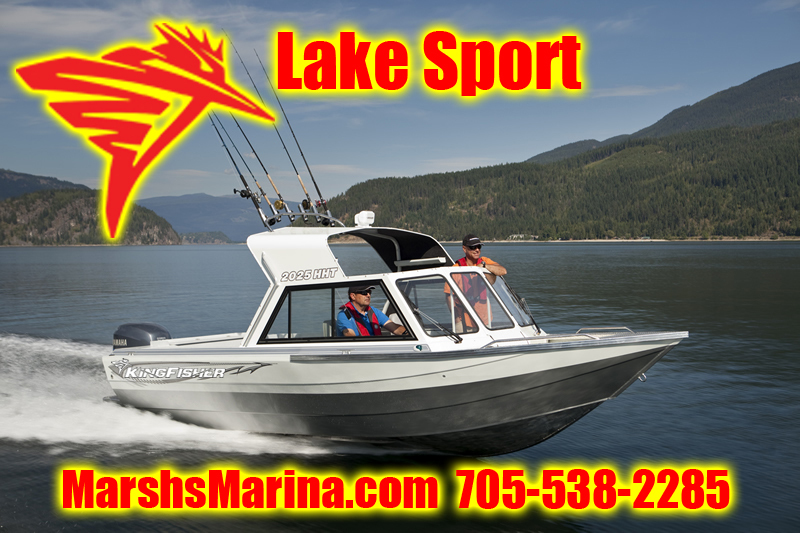 KingFisher Boat by HarberCraft have been made in British Columbia for decades, and are considered the premier aluminum welded boat in the world. 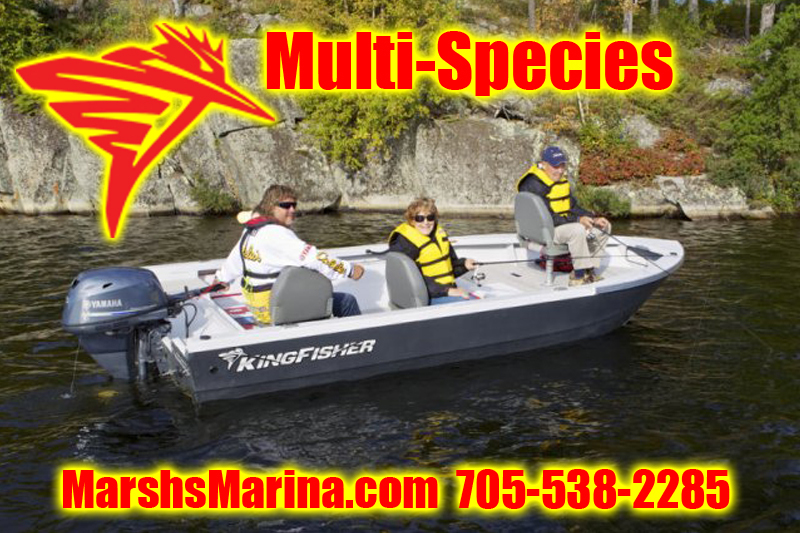 Why not spend some time, researching why, The KingFisher brand of welded aluminum boats for sale is just that much better than the competition. Offered with your choice of Yamaha, Mercury or our Recommended Suzuki 4 Stroke Motors. The 2025 Freedom is a Cottagers Dream. Upgrade to the 150 Hp and receive an extra bonus! Offered with your choice of Yamaha, Mercury or our Recommended Suzuki 4 Stroke Motors. The Warrior is an excellent all around welded aluminum boat for sale. 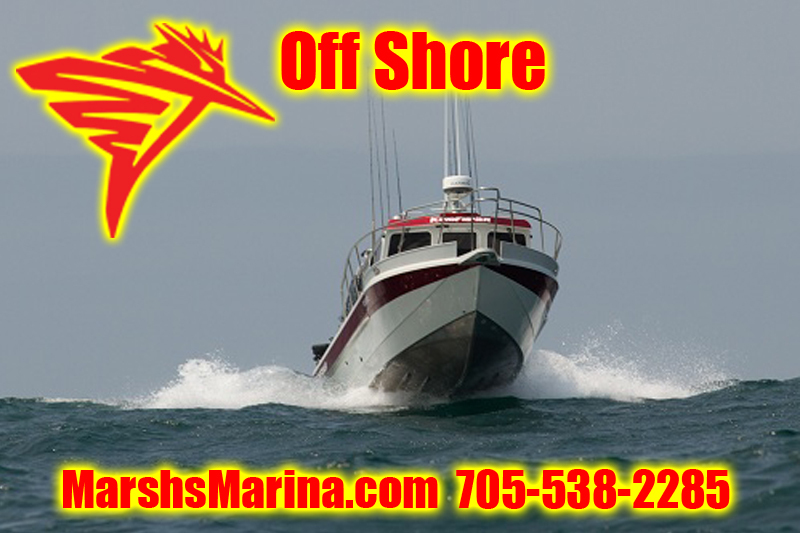 Take it up into Muskoka or Halliburton or Crash the Waves in Ontario or Erie...this boat can handle it! KingFisher 1925 AccordTough as a tank, runs like a Ferrari. The latest fishing machine by Kingfisher Multi-Species; the 1925 Accord was designed and built around on concept versatility. Ample room and equipped for a day on the water with family and friends, whether fishing or water sports. 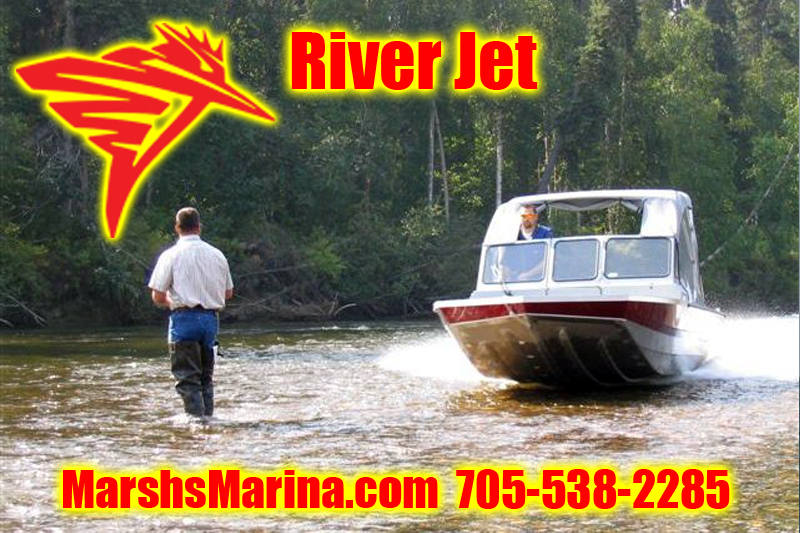 When looking for a KingFisher Boat for sale, remember Marsh's Marina! Competitors to the KingFisher Boat line up - We aren't afraid of them, Compare our products and Pricing! Weld Craft Aluminum Boats, Zag Fab Aluminum Boats, Alumacraft boats, Silver Streak Boats, Alumaweld Boats, Wolf Boats, Henely Boats, Thunder Jet Boats, Stanley Boats, Eaglecraft Boats, FabTechBoats, Abco Boat, C-King Boats, Titan Boats, RiverShore Boats, DuckWorthBoats, SabreJet Boat, Lund Boats, Princecraft Boats, Crestliner Boats, DuraCraft Boats, Munson Boats, Bratt Jet Boats, Ali-Craft Boats, metalCraft Boats, Coldwater Boats, StahnCraft and Silver Streaker Boats are all competators.